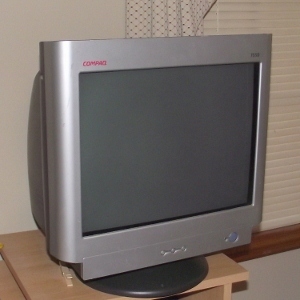 Is there a nonprofit in the Knoxville or Oak Ridge, Tennessee area that can use an older CRT monitor? If so, please email me, Twitter message or leave a message in the comments section. As the director of a nonprofit I would like for this to go to an organization that could use it. I would be glad to bring it to your office or meet you at a convenient location. It works great. There is nothing wrong with it. I changed out to a netbook when my older computer died and no longer need the older monitor. If it's wanted, I also have an older computer. It works but uses Windows ME so it's hard to get software to function on it. The screen is 15 inches and I'm thinking that it's about 5 years old. It was purchased as the flat screens were just beginning to be popular. It would probably be great for a nonprofit or a shop situation. It doesn't come with multi monitor mounts but they can be purchased online. Our economy seems to be improving but nonprofit organizations are still struggling. Technology is usually an area of chronic need. If you upgrade to a new computer there is a chance that your favorite charity can use it. As with making any in-kind donation it is advisable to call the charity first. It's important that what you want to donate is compatible with their other computers. Documents and data bases are sometimes shared. Communication between computers is essential. It's also important that a computer or electronic device be in working order at the time of donation. Sometimes people will donate something that doesn't work to get it out of their way. The problem with that is that charities often have a shortage of volunteers that can fix a monitor or computer. Technology assistance may also be useful. You might want to call your favorite charity about that too. If your nonprofit needs the monitor don't forget to contact me. It's a first come, first served CRT. Thanks.